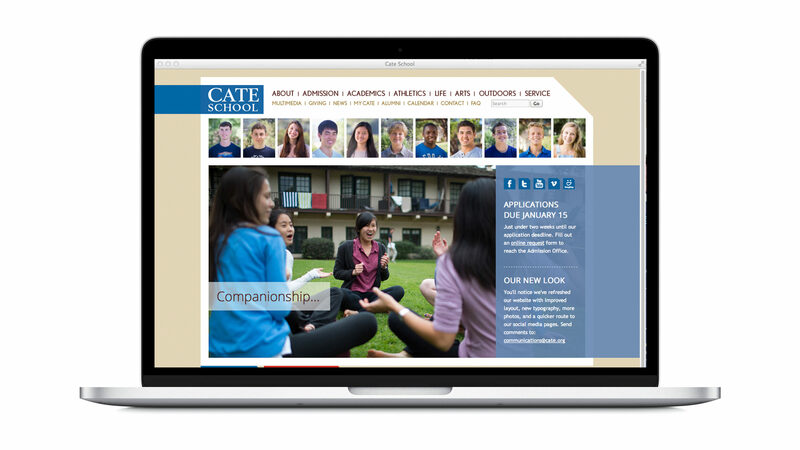 The Office of Admissions at Cate School knows that once prospective families visit the school, 97 percent apply. 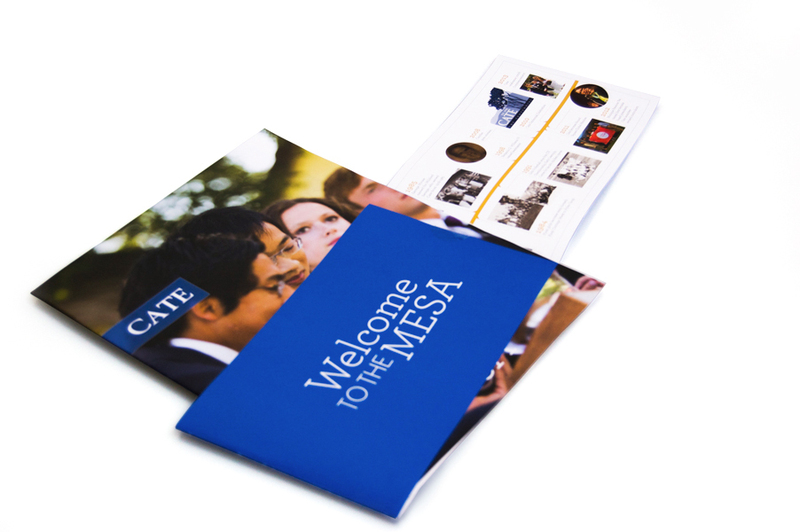 So the goal for the new admissions materials was to get them there. 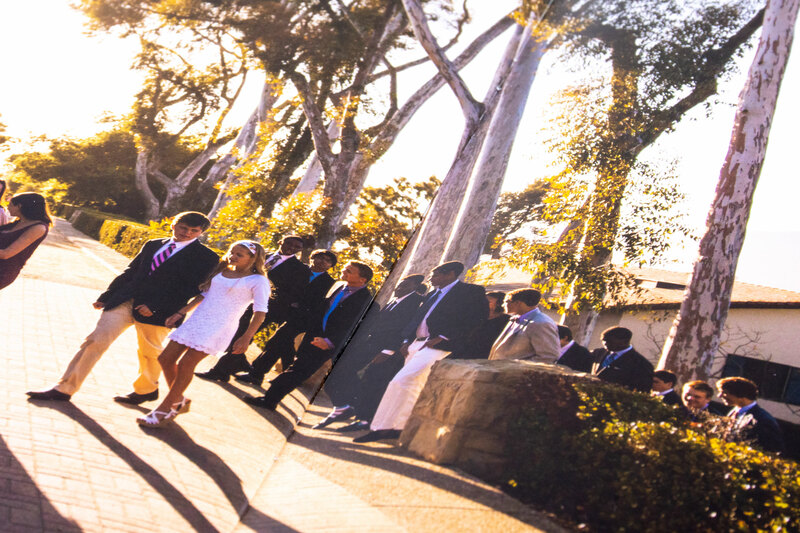 Inspired by the words of Sarah Kidwell, director of marketing and communications (“It’s the most beautiful place on earth”), and after visiting the Carpenteria, California, campus, we began crafting a set of materials that would entice people to visit this West Coast boarding school. 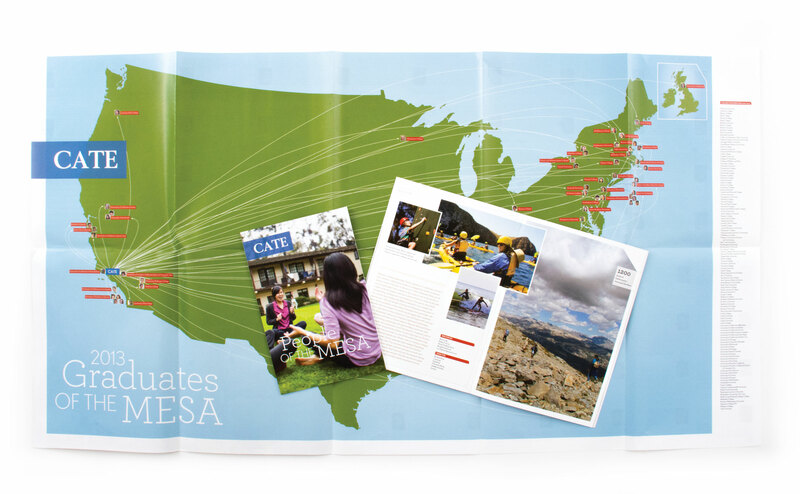 Knowing that the competition for Cate included Northeast schools, where students endure long and cold winter seasons (hey, we’re Northeasterners—we know), we wanted to emphasize the scenic location of the school on the Pacific Coast. Nearly 700 applications, a 23 percent increase over the previous year, and more than the school had ever received. 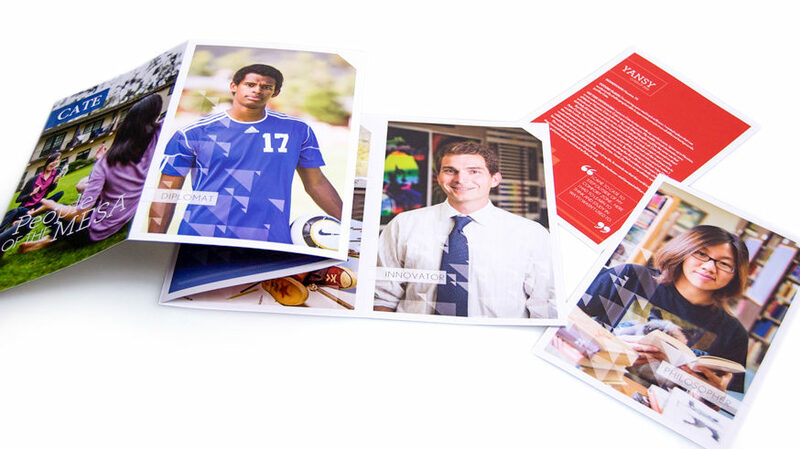 The admissions director noted that it was also the most eclectic, accomplished group to apply. 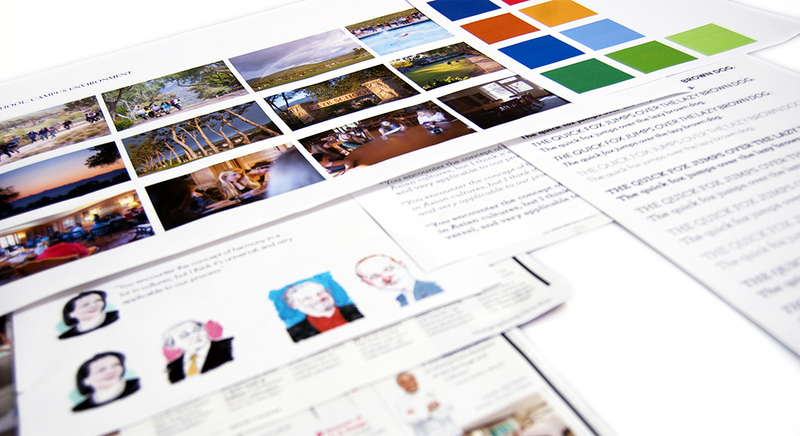 We started by creating mood boards that had inviting colors and friendly typography. 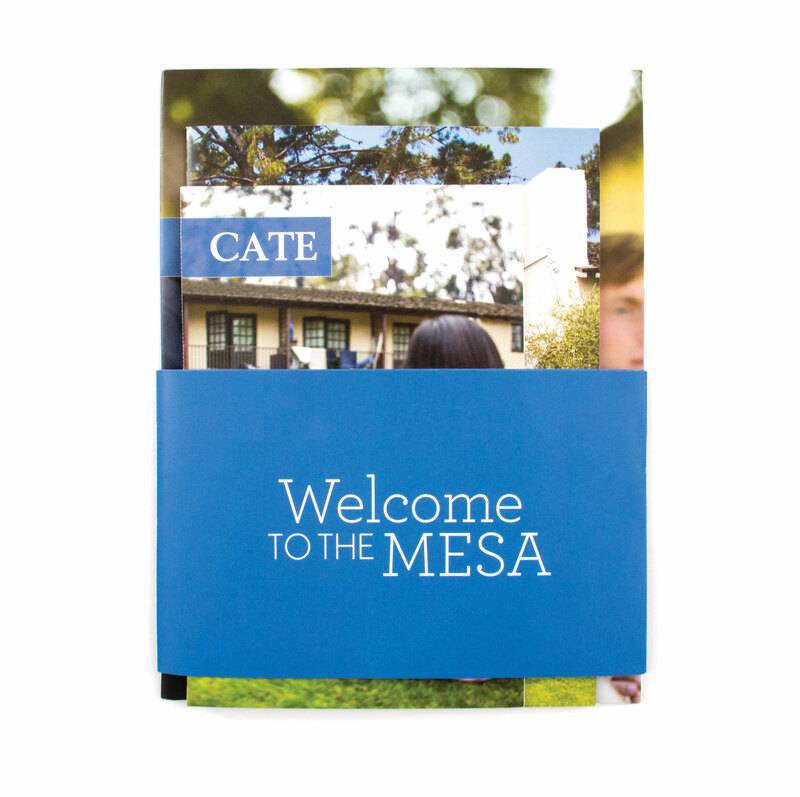 We partnered with Mark Sheehy Creative to craft copy that evokes the essence of Cate and emphasize its academic rigor. His writing didn’t get bogged down in details but instead pulled readers in, inspiring them to want to learn more and ultimately arrange a visit to the school. The intimate campus buildings are nestled into a hillside and surrounded by a majestic landscape. We directed Ben Morris, multimedia coordinator, to capture the place through approachable day-in-the-life photography. 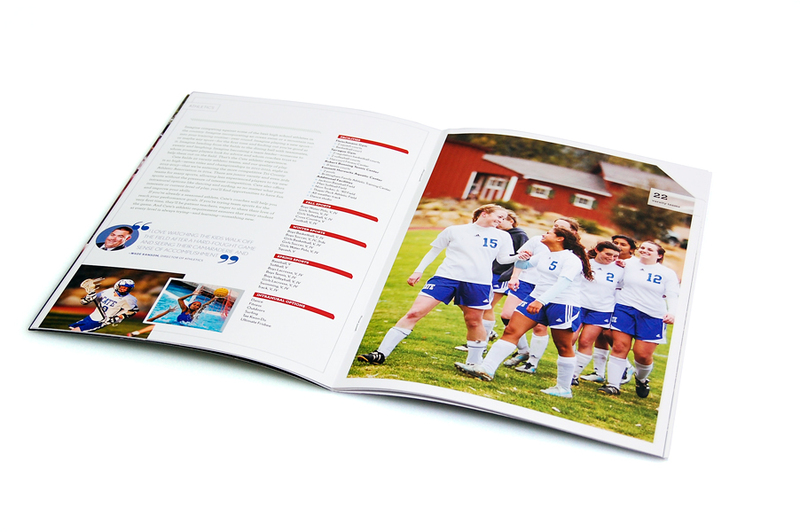 The end result was a series of printed pieces and a website that each have their own interactive elements. Each printed piece mails in a clear acetate envelope enticing recipients to open it—almost like peeking under the wrapping of a present. The website content goes even deeper, inviting visitors to explore and learn more.